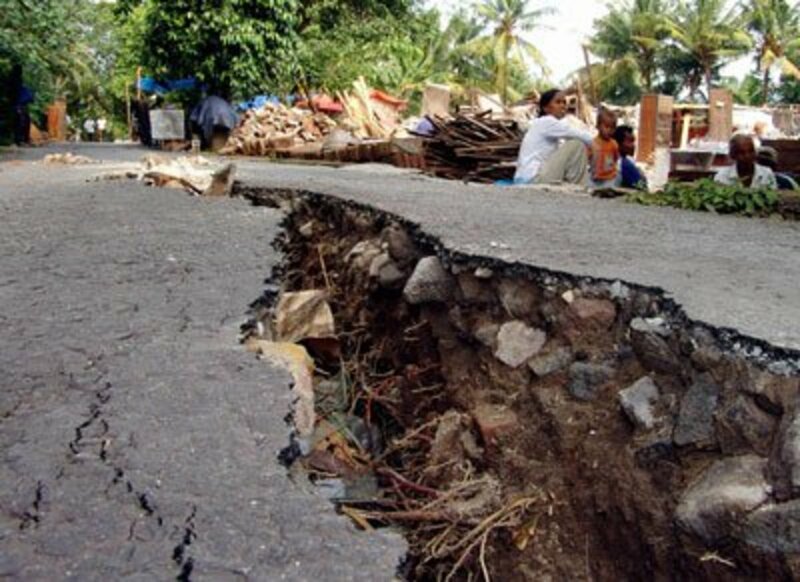 On December 26, 2004, the devastating earthquake measuring 9.1 on the Richter scale, which shook the Indian Ocean off the coast of North Sumatra, Indonesia. 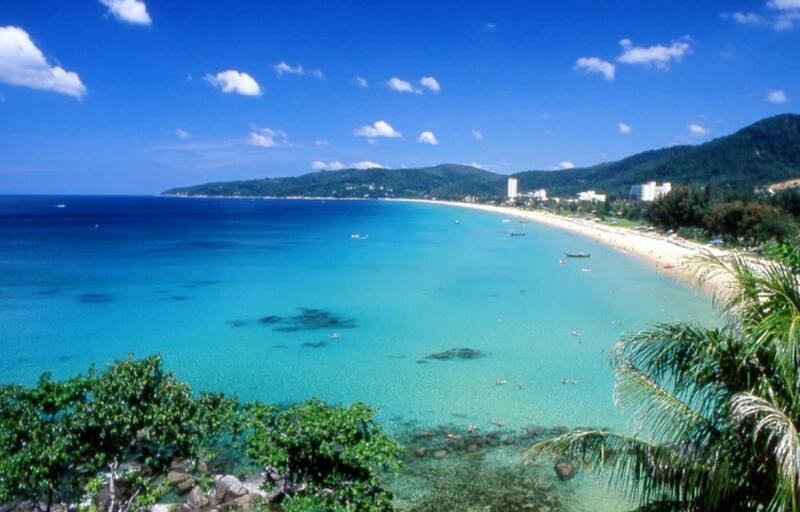 The devastating earthquake caused a tsunami, which swept a number of beaches in the Indian Ocean. More than 230,000 people dead and millions homeless. 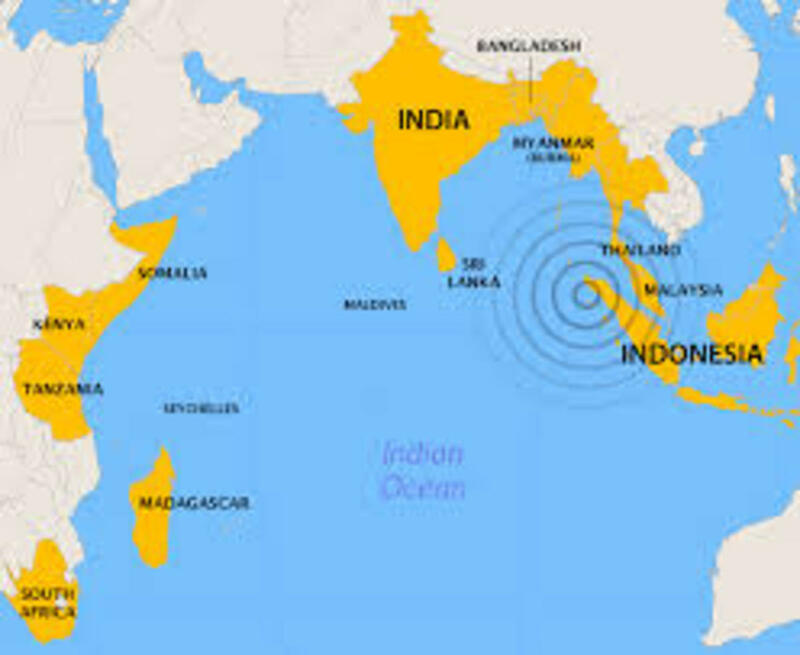 The main quake hiposentrum roughly located in the Indian Ocean, 160 km (100 miles) north of Simeulue island, off the west coast of North Sumatra, Indonesia, at a depth of 30 km (19 miles) below the sea surface. 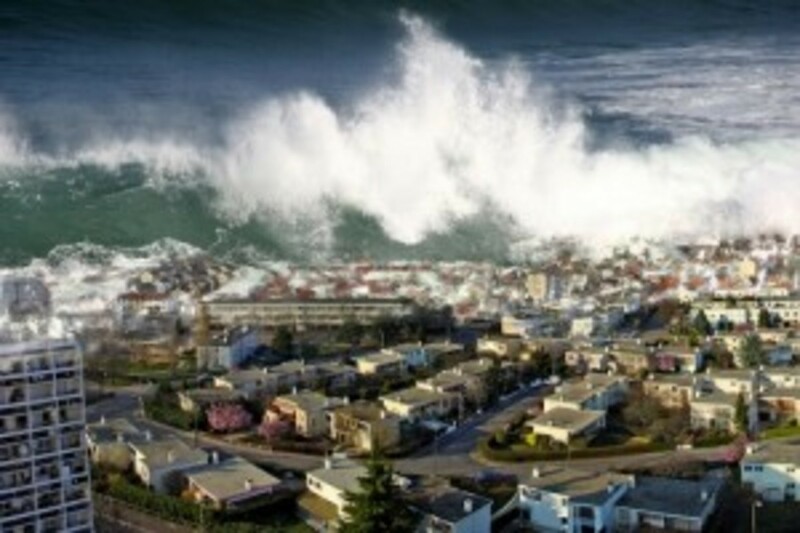 It is estimated that there are about 15 countries affected by the tsunami, with a total of 184.167 (Confirmed Victims) and 230.273 (Estimated Victims). 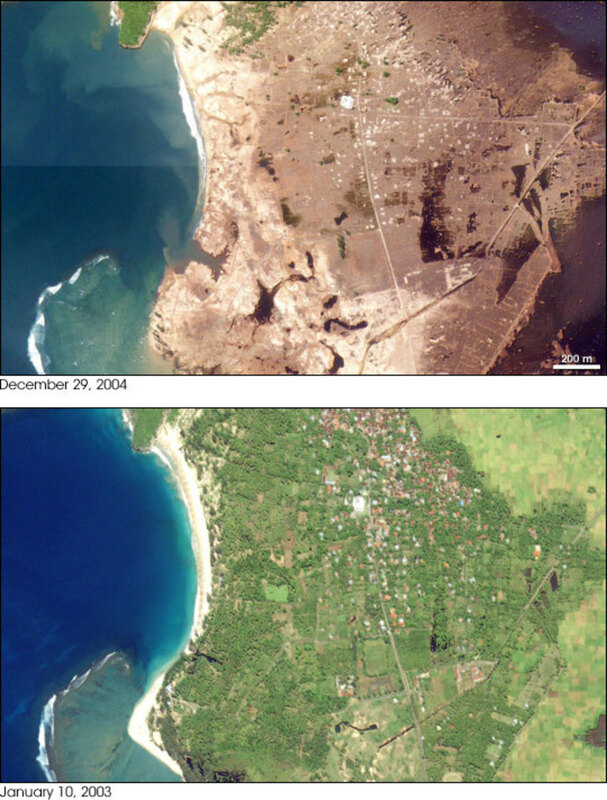 United States space agency site, NASA, capturing images of Aceh, before and after the giant waves hit, the tsunami. One of the pictures depicts conditions Lhoknga City, on the west coast of Sumatra near the capital city of Aceh, Banda Aceh. The city was razed to the ground. However, a miracle appeared. In the photo looks white circular features. 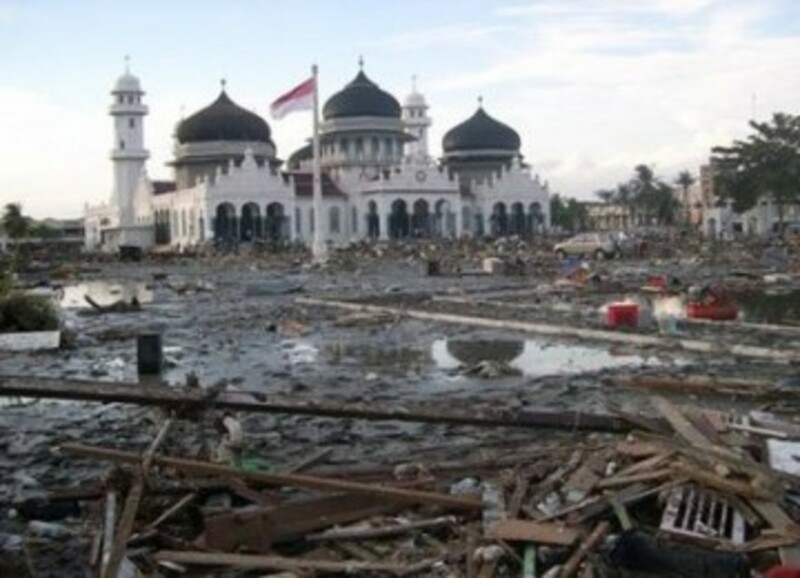 It is a mosque that survived and stood firm in the midst of the destruction (viva.co.id-Indonesia Language). 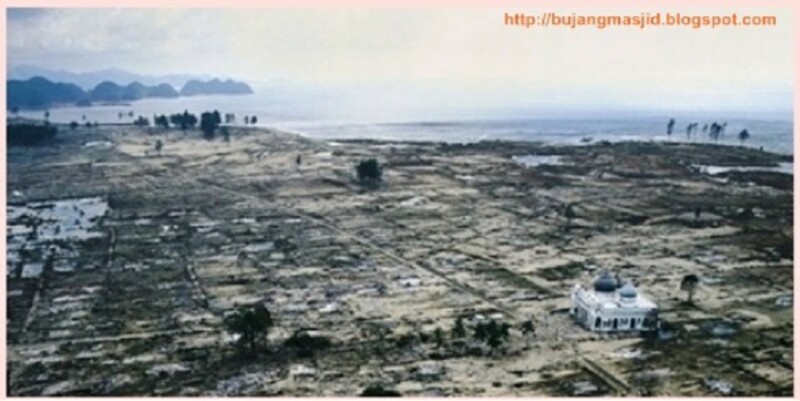 During the tsunami, on December 26, 2004, it is estimated there are at least about 27 surviving mosque. It is certainly surprising, especially some of the mosque, located not far from the beach. Rahmatullah mosque located approximately 500 meters from the shoreline, when the tsunami occurred in 2004 is still standing strong, while the surrounding buildings were destroyed, leaving debris scattered about. The tsunami that has claimed thousands of lives Lhoknga population, which was originally more than 6000 people, the post-tsunami left only about 700 people. Infrastructure within 3-4 km of coastline devastated by the tsunami, which came with a speed of 600 km / per hour. Anyone who crossed on land, sea, or air space Lhoknga post-tsunami, could see the building of mosques that are still standing in the city expanse of debris Lhoknga (bujangmasjid.blogspot.com-Indonesia Language). Masjid Al-Ikhlas is located in Lhoknga, proving the greatness of God. Where these buildings survived the earthquake and tsunami that hit Aceh in late 2004. Even people who seek refuge in the Masjid Al-Ikhlas says that when water passes through the mosque, such as the split (kapanlagi.com-Indonesia Language). Mosque Baiturrahim a silent witness to the magic of the tsunami in Aceh. When a giant wave hit, mosques were located not far from the sea, still standing strong. While the building is being destroyed around him. Around the mosque, has a population estimated 6,000 people. When the tsunami struck, more than half the population is the victim. Many people save themselves by first and second floors in the mosque when the tsunami struck. one by one, dragged out and lost in the flood. Only nine people managed to climb onto the roof and survived. 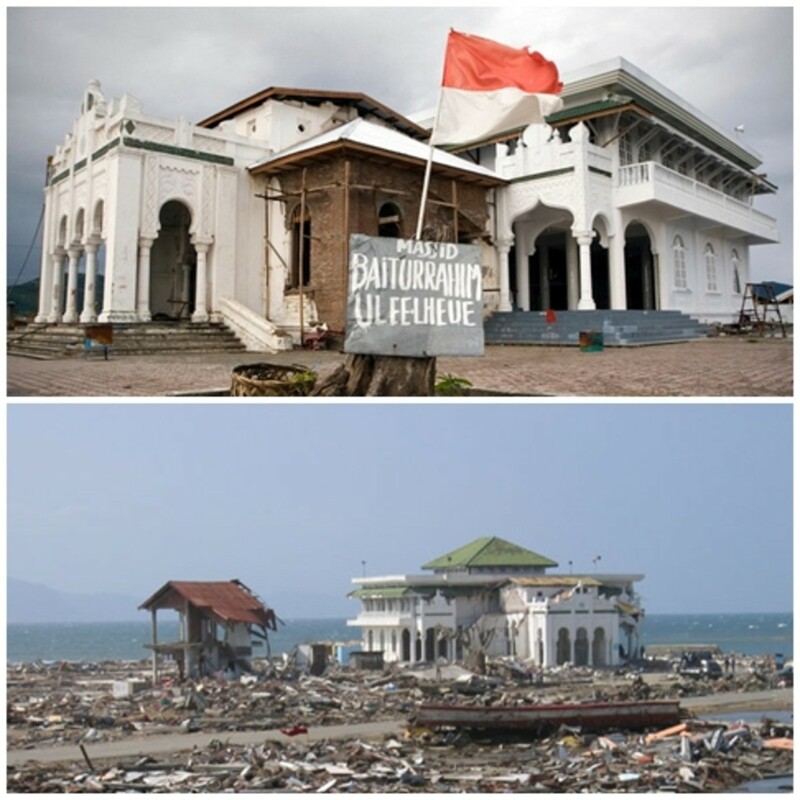 According to the victim, there are three waves of the tsunami that hit mosque Baiturrahim. Each wave always broke when overwrite the mosque, and the wave roll up around buildings. With waves over 10 meters. 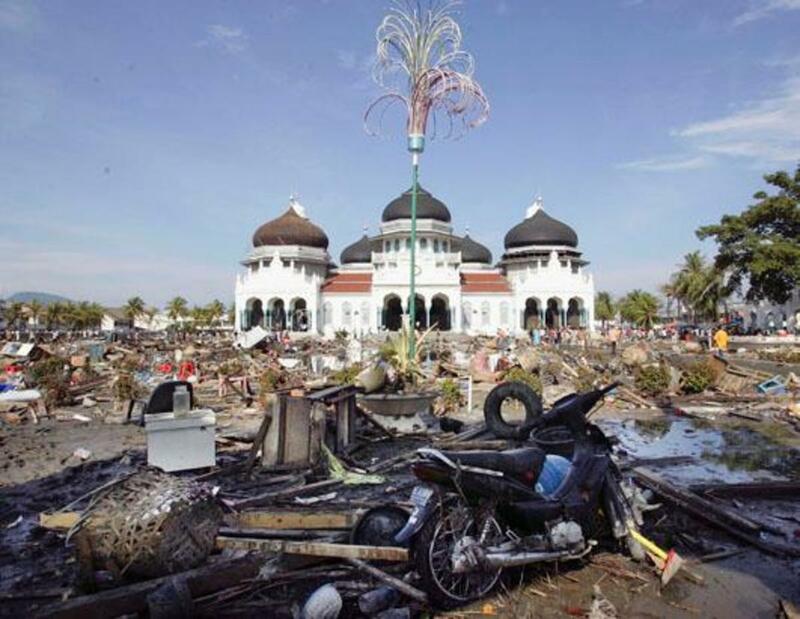 When the wave receded, the mosque clean of human remains. Except only the body of an old woman who was found in the corner of the building. Qur'an on the floor in an open condition and intact (voa-islam.com-Indonesia-Language). On December 26, 2004, there are tens of thousands of people who survived and take refuge at the Grand Mosque Baiturrahman. be it Muslim or non - Muslims. 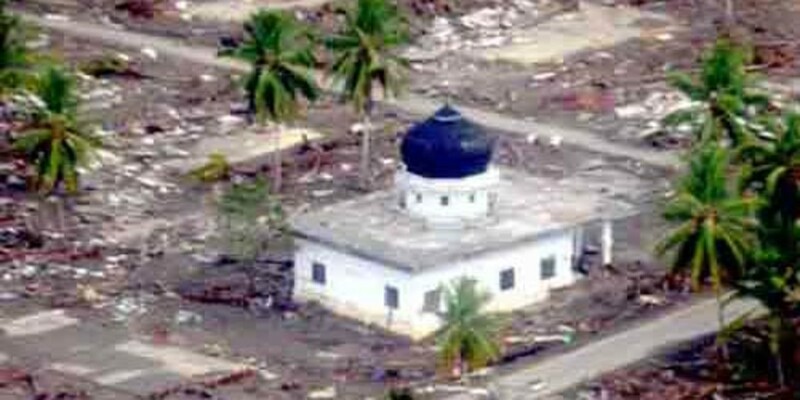 At the time of the other buildings were destroyed by the tsunami, Baiturrahman Mosque still standing strong. In fact, the mosque was not destroyed even though the water flows very fast! Baiturrahman Mosque broken only at the fence. Even water does not enter the mosque when it was filled with a lot of people. Tsunami waves do not damage the mosque in the slightest, it's hard to imagine the logic (aprilyadwiriyani.blogspot.com-Indonesia Language). Truly amazing sights. Clearly a lot of quality work was done by the builders too.